Even though it was the USA, not Canada, who secretly sent him to Syria to be tortured, no apology has been forthcoming from the USA. Indeed, despite the blatant mistakes and flagrant flaws brought to light by this case, the USA Congress has just passed new legislation which attempts to rip up legal rights stemming back to the Magna Carta, which among other things will “strip detainees of a habeas corpus right to challenge their detentions in court.” There are more details in this article, but the brief flicker of hope that the Congress would stand up to the President of the USA’s demands to be able to shred the foundations of the rule of law appear to have been extinguished. Some more details on Mr Arar’s case from the New Yorker article are below. Remember, this is a Canadian citizen who was arrested when passing through the USA on his way back home to Canada. A case like this indicates that, when Muslims have said to me they are scared to travel overseas, it is not a victim mentality or a persecution complex that makes them feel this way. Tragically, it is simple common sense. Even people who believe in the ‘war on terror’ rhetoric and think this means ‘anything goes’ should have practical reasons for opposing this practice. PS: The links provided in this entry were originally found through material provided by The Daily Briefing. 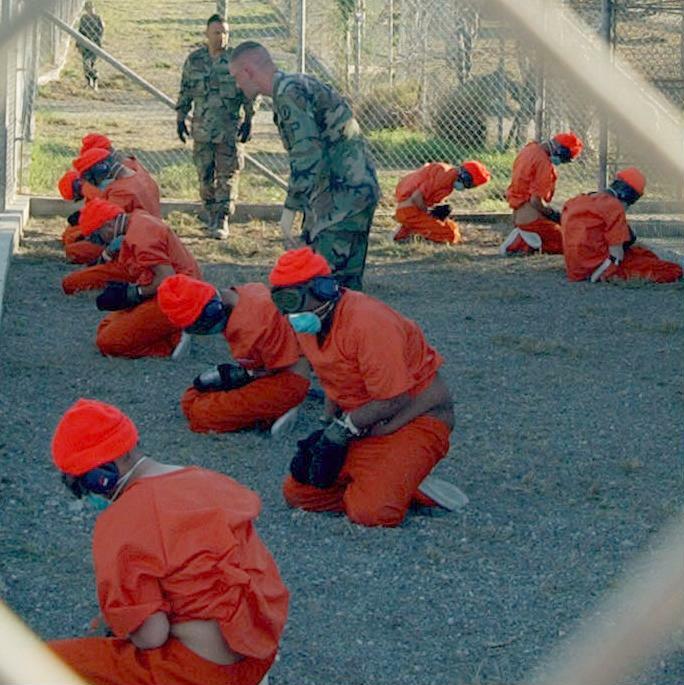 Links to a report examining the publicly available facts about the people imprisoned by the USA at Guantanamo Bay can be found at this entry on Australia’s best blog, Barista. This link goes to an intereview with Patrick Leahy, one of the Senators who voted against the new legislation, which passed the Senate by 65 votes to 34. UPDATE (3/10): Just to show anything the USA can do, Australia should too, our Attorney-General has not expressed any concerns about this development. He has even helpfully suggested that sleep deprivation is not torture, which I guess made it OK when Stalin used it. This link goes to a great article from the Daily Telegraph, quoting Cyril Gilbert, an Australian Prisoner of War who was subjected to sleep deprivation by his Japanese captors during World War II. Strangely enough Mr Gilbert, having direct experience of sleep deprivation, says “If you were there for 24 hours you would have no doubt it is a form of torture.” Just as well we have Mr Ruddock as Attorney-General, and not one of those pinko, lefty ex-PoW types. I hate to be a nitpick, but, um, pubic apology? I believe you may be missing an ‘L’, Andrew. As one of your constituents (albeit temporarily living overseas), thank you for speaking out against that horrid piece of legislation passed by the U.S. I’d expect the Democrats in Australia would oppose it. What is the feeling among other politicians in Australia? Currect me if I wrong, but would the new law affect any extradition proceedings back to the U.S.? Never never never forget that Hitler came to power by election and not by coup-de-etat. And never never never forget that traditional rights of the German people were destroyed by the Nazi regime little by little. It is sad to see the same thing happening in what used to be the world’s greatest democracy, the United States. We need to be very vigilant and very active to make sure the same fate doesn’t not befall us here ….. even though the same processes are already underway in Australia. Strong national security AND civil liberties are not mutually exclusive but rather they complement each other. Aw gee Andrew, who needs legislation when you’ve got bullets and rugmuncher Ruddock egging you. Going to a mosque in Perth could get you killed – you don’t need to fly to be afraid. The irony is that if I do comment on certain aspects of this issue and warn about potential – perhaps likely – adverse consequences for us then I could possibly be trouble under Australia’s new anti-sedition and anti-terrrorism laws and regulations. No. It’s safer, simpler and easier for me to remain silent and to confine my comments to less touchy issues. I’ve added an extra link to the end of the main post above, giving the opinion of a former Australian Prisoner of War as to whether sleep deprivation is a form of torture. Australian Defence Force didn’t use it; Americans did. Ask your fellow Senators if they’ve ever heard of the old Code-Of-Conduct Courses and why they were run. Ruddock is talking through something other than his mouth if he says sleep deprivation is not torture. Listening to Ruddock, and seeing his Monty Burns, weaselly face on TV, is definitely torture! Justice Murray Gleeson claims that torture is not allowed in Australia and the US government along with Howard claim that Hicks is not being tortured in Guantanamo Bay – I beg to differ on both claims. He voted down the family courts jurisdiction to release the Bakhtiyari children and about 100 other children from the persecution they suffered in Woomera and other detention centres and then went on to rule in s276 that locking up children was constitutionally legal, even though the evidence of the Sakhi children, who brought the case, and thousands of others showed they had been tortured psychologically in detention. In s134 he couldn’t find any way around the right of this government to over ride family reunion as the basics of family units thus forcing thousands of women and children to remain in danger while their husbands were tormented on TPV’s here. He saved his bacon slightly when he ruled in favour of Al Kateb being released on habeas corpus because he could not be deported but ruled that babies born in Australia who did not have Australian parents were somehow migrants. For Justice Gleeson to claim we don’t believe in torture is utterly spurious as all the government has to do is state that we have not enshrined the convention against torture or any other human rights instruments into domestic law. Bingo. Legalised torture. Precisely and exactly what has been done to innocent children in detention centers is now being called “not torture” by the keeper of the detention centre keys, Philip Ruddock. God help David Hicks because no court ever found a trace of jurisdiction in Australia to set free refugee children and babies. We’ve got Downer and Ruddock constantly spruiking about the need for an Australian from the Solomon Islands to face justice here after supposedly committing a crime in Vanuatu in 1997. Australia regularly plays bully boy in PNG and the Solomons -‘hardball’ the yanks would say, and hardline is the only strategy that John Howard knows. Yet,the same argument about David Hicks, an Australian citizen incarcerated in the US gulag ‘Gitmo’ seems to have escaped them. Where’s the strident appeals for justice for Hicks?, or is justice only a one way option, depending on whether we are cowering and blindingly obedient to a bigger bully or not?.